RA vs. OA: Which is Worse – Rheumatoid Arthritis or Osteoarthritis? Rheumatoid arthritis (RA) is a complex autoimmune disease with fluctuating symptoms and resultant complications that create a unique pattern in each patient. Often times, RA symptoms are confused with osteoarthritis (OA) symptoms. This confusion happens commonly during the initial stages of arthritic symptoms. Despite the fact that both types of arthritis cause joint pain, the two diseases have different diagnostic criteria. Both are considered to be chronic and non-curable diseases, however, they have entirely different causes, symptoms, prognoses, and treatments. The primary difference between RA and OA is the underlying nature of the disease. RA is an autoimmune disorder that produces inflammatory joint symptoms throughout the body. OA is a degenerative condition that is the result of increased wear and tear on joints. OA may produce inflammatory symptoms as well, but it primarily destroys joint cartilage over time. OA affects an estimated 27 million Americans while only 1.3 million Americans have RA. Both RA and OA are more prevalent in women than in men. RA can develop in patients anytime between the ages of 30 and 60 years old. OA generally develops later in life. RA and OA are caused by different underlying pathology which results from different risk factors. OA is caused by continued wear and tear on specific joints in the patient’s body. It is a chronic condition that can get worse with age. Certain jobs or sports that involve repetitive stress and strain on joints can also lead to developing OA. Old injuries or ones that didn’t heal properly can also increase the risk of developing OA. There is also a potential genetic risk factor associated with OA whereby it’s possible to inherit cartilage deterioration. The exact cause of RA is unknown at this time. Doctors do know that RA is an autoimmune disorder whereby antibodies are produced that attack the healthy joint tissue in patients. What triggers the immune system to create these harmful antibodies is unclear. The primary risk factors for RA are thought to be genetic, environmental, hormonal, and even certain lifestyle factors like smoking and obesity. RA symptoms have a rather rapid onset where the condition can worsen in a matter of weeks. On the other hand, OA symptoms slowly develop and gradually worsen over a long period of time. RA symptoms affect joints all the over the body including hands, fingers, elbows, knees, and hips. Meanwhile, OA frequently affects the small finger joints and thumb, as well as the knees. RA always affects multiple joints on both sides of the body, whereas OA may only affect one particular joint or area of the body. At the onset of RA, symptoms like fatigue, fever, weight loss, and loss of appetite are indicative of the disease’s development. OA doesn’t produce these types of systemic symptoms as it is considered a local disease. RA commonly produces symmetrical symptoms, meaning both sides of the body are affected similarly. 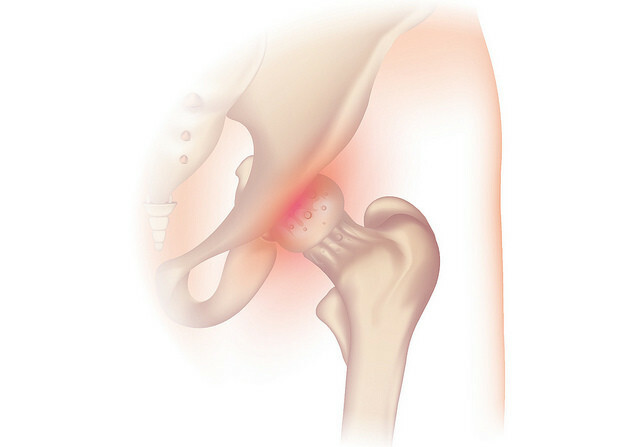 OA is based entirely on wear and tear of individual joints. RA causes prolonged morning stiffness lasting greater than 30 minutes. OA patients may feel morning stiffness, but it generally subsides within the first 30 minutes. Though both diseases are types of arthritis, they have two separate clinical diagnoses. Sometimes it can be difficult to reach a proper diagnosis because the two have such similar physical symptoms in early stages of the disease. RA is diagnosed by performing a physical examination, reviewing your clinical symptoms as well as discussing your family medical history. Doctors also perform blood tests to look for the presence of antibodies that are known contributors of rheumatoid arthritis. Imaging tests are also performed to look for signs of joint damage and inflammation. OA is also diagnosed with imaging tests. X-rays and MRIs show the progressive damage and deterioration happening the joints. OA can’t be diagnosed with a specific blood test. However, blood tests can help rule out RA or other diseases that also cause joint pain and inflammation. Both diseases are chronic meaning they are long-term. Neither diseases have any known cures. OA is degenerative, meaning it will continue to worsen with time. With appropriate treatment, OA can generally have a positive prognosis. RA is much more unpredictable. Numerous systemic complications can arise as a result of the autoimmune disorder. In some cases, other conditions like respiratory and cardiovascular diseases can develop. RA patients are also at risk of diseases like lymphoma and lupus. Because RA can progress differently in each patient, it is difficult to determine an overall prognosis. Neither form of arthritis has any known cure. The objective of treatment for both types of arthritis is to reduce pain, manage symptoms, and prevent further destruction to the joints. Nonsteroidal anti-inflammatory medications (NSAIDs) like ibuprofen are used to treat both types of arthritis symptoms by reducing swelling and pain. Because RA is an autoimmune disorder, specific drugs are prescribed to attempt to suppress the immune system which will prevent antibody formation leading to decreased flare-ups and prevent further damage. Physical and occupational therapy are both used to help patients improve mobility and adjust their daily routines. Exercise, weight management, and overall healthy living habits are essential in treating and manage both diseases.